At Marchstone we take the welfare of our pups very seriously indeed. They are usually born in our living room (though we have had pups born in our bedroom too!). The pups are raised during those precious 8 weeks in our living room. (I sleep in the living room for the first two – three weeks). As we like to make the most of having puppies, they are normally out of the whelping pen, playing in our living room at any given opportunity. The puppy chaos is “such fun” creating alot of comical moments and photo opportunites. Of course puppies will have accidents and to enable us to enjoy the pups as much as possible we start the toilet training process with them. As soon as they are steady on their paws we start to put them in the garden. It is a gradual process whereby they have to get used to being outside, so their first experience of the garden is based on the weather primarily and is also only for a few minutes! This first stage is then built upon. The puppies will be used to going into the garden for the opportunity to wee after every meal, after every sleep and every time they have had ten minutes or so of playtime. Our puppies are not used to sitting in a dirty pen at all, and our buyers do not have 8 weeks worth of bad habits to work through but DO have all the good habits of the puppies being used to going for a wee and poo in the garden from very early on. So all the new owner has to do is continue our good work. We have been lucky that some of our puppies have been clean from the start of their new homes and EVEN had some puppies asking to go outside for a wee (by scratching at the back door) before they leave us! This is not to say you wont get accidents – as obviously their bladders are very immature and it will take time for them to be reliable but to note that our hard work of regularly putting them in the garden will have installed good habits in the pups we raise. As the living room is the “hub” of the house, they will be used to all the normal hustle and bustle of the house. So in theory should not be scared of the “growling” machine otherwise known as the hoover!! The puppies are socialised with all of our animals, as well as having our dogs, we have cats, a rabbit that loves to play with the puppies and also chickens. Though any interaction with the other animals doesnt usually occur until the pups are roughly 3 weeks old. 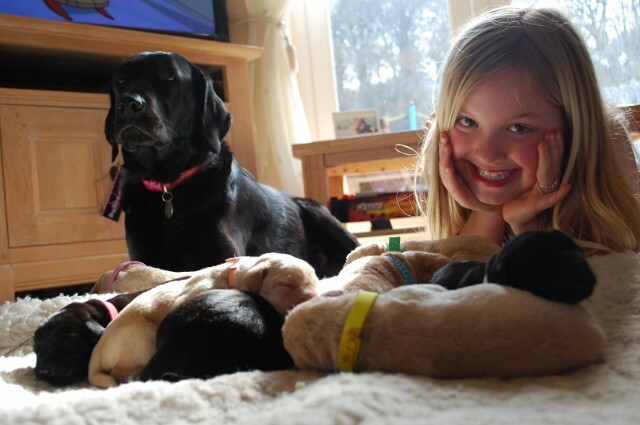 Our Puppy Assistant – Katherine plays with the puppy’s ensuring they are used to children handling them! We try to give our puppies as many new experiences as we can cram in so that they go to their new homes confident little pupsters. Our puppies go to their new homes with full support from us, a puppy pack full of advice and of course you can phone/email/text anytime the new owner may need us. They will have followed a worming programme which will be outlined and signed as being fulfilled and when the next wormer is due. I keep an online diary which enables the buyers to keep up to date with how the puppies are getting on. We take great pride in how we raise our puppy’s so please contact us if you are interested in our puppies. 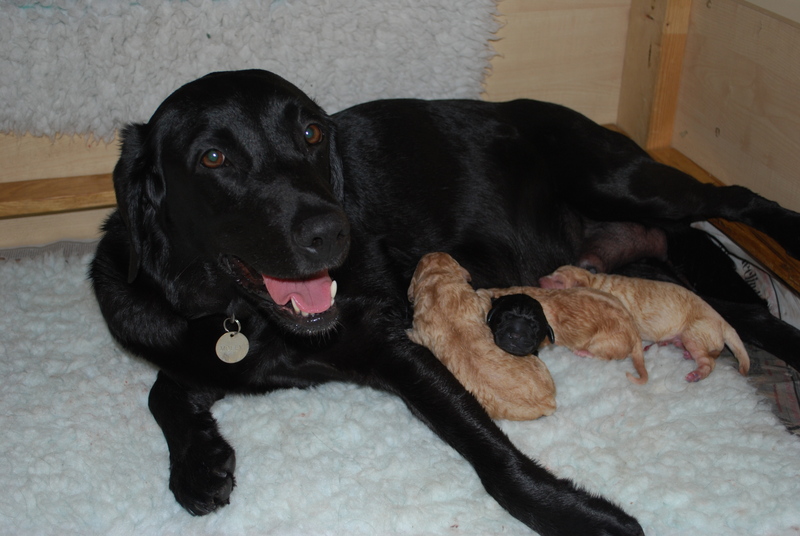 March 2013 is Molly’s last litter. We do plan to have litters in the future with our newest addition Maggie – obviously it is early days for her and we need to see how she develops and dependant on health test results, the earliest we could consider having a litter is approximately two years time. I like to have an informal chat with any future buyers, so please DO have a list of questions for me! 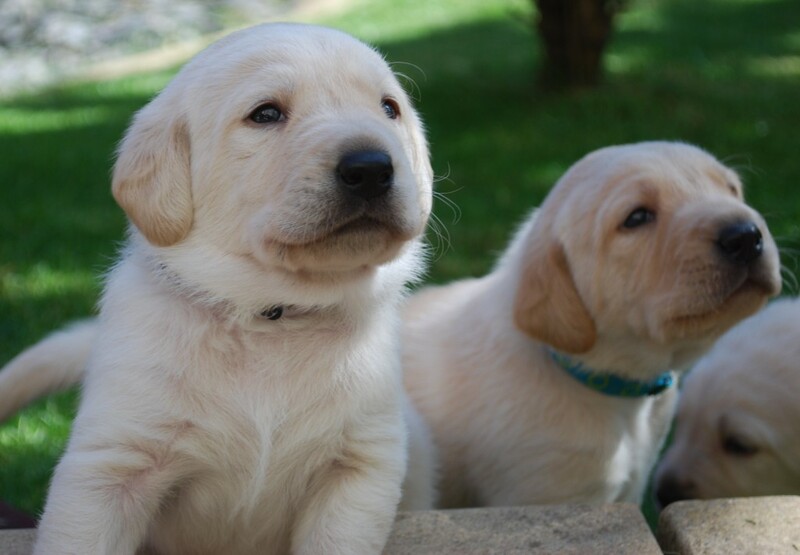 Please take a look at Puppy Milestones, Checklist for Basic Health in a puppy, A few thoughts about having a puppy and also the Assured Breeders Scheme.